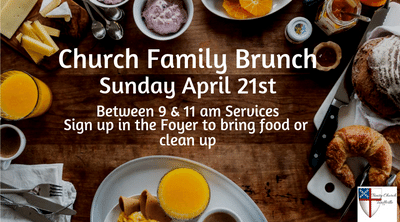 The Easter Family Brunch is for anyone who would like to brunch together as a church family. Interested in bringing a brunch item or helping before/ after? This Sunday, between the 9 and 11 am services we will be hosting a brunch for those who would like to commune together as a church family. Set Up- Come to the parish hall at 8:30 am. Bring a Brunch Item- Either drop it off Saturday labeled Brunch or bring before the 9 am service. Serve During- Be ready around 10 am to make sure drinks and plates remain full and tummies are happy. if you plan to go to the 11 am service consider coming a little early to help. Clean Up After- If we have enough hands we should be able to clean up and get into church for the 11 am service. If you are planning on coming to the 9 am service consider staying late to brunch and help. Palm Procession 9:30 am this Sunday and the Easter Egg Hunt is 4/20 at 11 am!! Palm procession 9:30 am this Sunday Plus Easter Egg Hunt 4/20 at 11 am! Palm Procession- We are going to experience a Palm Procession this Sunday before the 9:45 service. If you can, try to come to church for 9:30am. We are going to meet in the parking lot and hand out the long palm fronds to each person, we will then have the opportunity to sing praises to the Lord as we march into church together. Its going to be fun! Stations of the Cross- We have had very low sign up participation for the stations of the cross service this year. This wonderful, student led service, is designed to be short and family friendly, and explains Good Friday in a way children can understand. But in order to keep running it, we need more actors and readers! Please let me know if your children want to help. And Parents, you are welcome to help too, we are always looking for more actors and background helpers. We need help with crowd control during the practice, and with lighting and directing during the service. Email me at Mandalavallee@gmail.com if you would like to sign up. Big Three Dinner This Friday- we have decided not to have the Big 3 Dinner this Friday. Between vacation this week and a very busy Holy Week ahead, we thought it best to hold off on our gathering until things have calmed down a little. Youth Group- Stations of the cross service is this Sunday after Church so we are going to have everyone come to the 7-8:30 youth group. Spencer has requested we do a craft so we are crafting this week! Camp ROAR- Camp Roar already has 20 campers signed up!!! Our goal is 40 campers so keep sharing the registration info with all your friends. The Volunteer registration is up to 14!! Woo Hoo! Thank you all for signing up so early. This year we have started a nursery and preschool group lead by Lindsey and Jake Salomonsson. They are super excited to be leading the charge with this new group of kids. Taking care of these younger ones will also mean that more moms can volunteer as leaders and helpers! Camp ROAR is doing wonderful things already! The price per camper for Camp ROAR goes up to $40! Register before today for the discounted price! 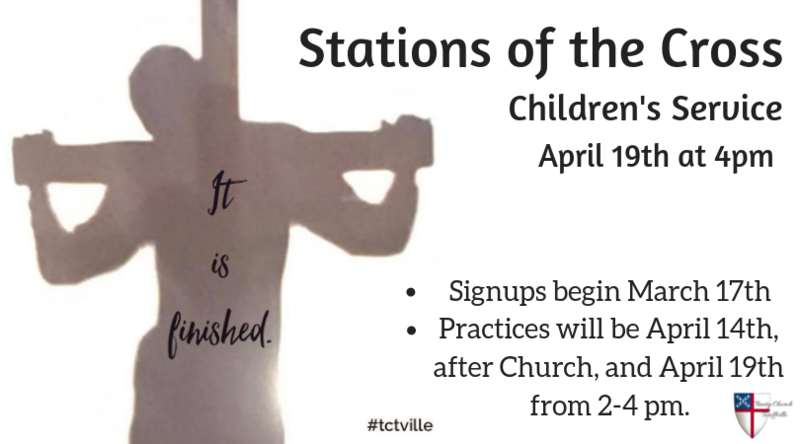 Copyright © 2019 Trinity Tariffville Youth and Sunday School Programs, All rights reserved. Come meet another new Member, Bill Pascucci, as he teaches us to create these wonderful palm crosses just in time for Palm Sunday! Workshops will be Monday and Wednesday from 10 am until noon and Tuesday evening from 6-8 pm in the Trinity Library. Join us in the Parish Hall between services and after the 9:45 am service to meet and fellowship. You have seen each other sitting in the pews; now is your chance to get to know your Trinity Church Neighbor! Stations of the Cross and the Easter Egg Hunt are coming soon! Stations of the Cross and the Easter Egg Hunt are all coming up! Coffee with Manda and Fr. Taylor- This Friday April 5th from 10 am until noon, Manda and Fr. Taylor will be having office hours at Ana’s Kitchen in Simsbury. It was so much fun last week we are going to do it again!! Ana’s Kitchen is located in the Plaza between Fitzgerald’s and CVS, across from where we have the Pumpkin Patch. As a little enticement, Fr. Taylor has said he will buy any Trinity Member a coffee just for stopping by. So, stop by! We would love to catch up with you. 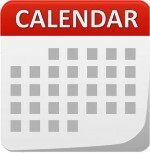 Sunday School- Regular Sunday School this week. Youth Group- Middle and High School students will be meeting at 7 pm in the youth room for Dinner and Worship. Bring your instruments! Free Coffee with Manda and Taylor, Egg Stuffing is This Saturday, and we need your Help!! Coffee with Manda and Fr. Taylor- This Friday March 29th from 10 am until noon, Manda and Fr. Taylor will be having office hours at Ana’s Kitchen in Simsbury. Ana’s Kitchen is located in the Plaza between Fitzgerald’s and CVS, across from where we have the Pumpkin Patch. As a little enticement, Fr. Taylor has said he will buy any Trinity Member a coffee just for stopping by. So, stop by! We would love to catch up with you. 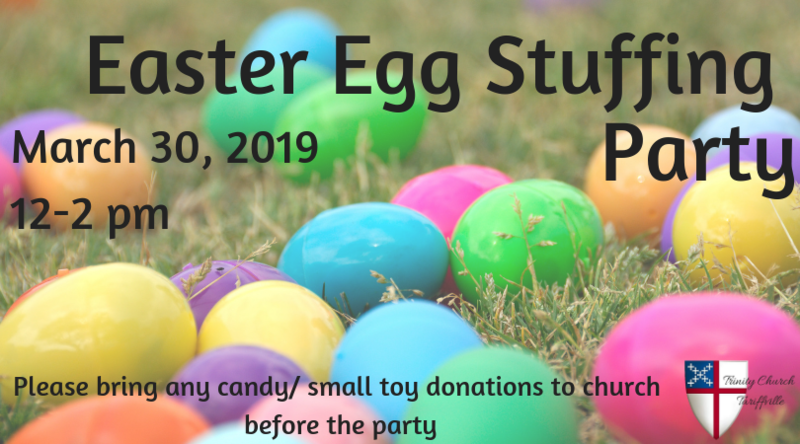 Egg Stuffing Party- on March 30th from 12-2 pm we are going to have an Egg Stuffing Party. 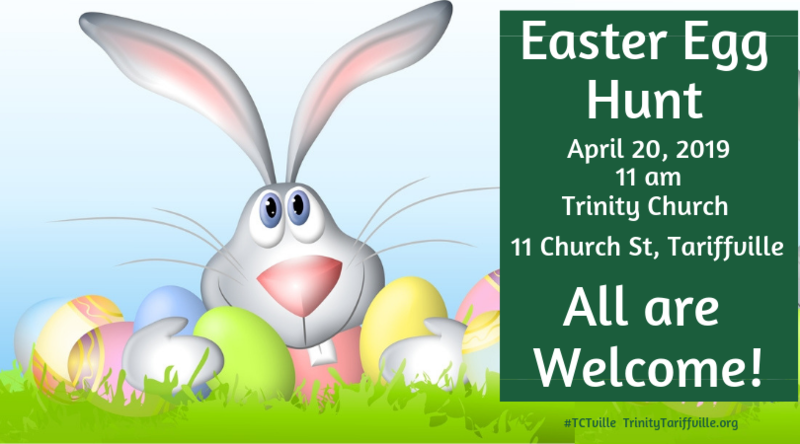 This is the time when we get as many hands as possible filling the Easter Eggs which we will be hiding and finding during the Easter Egg hunt on April 20th at 11 am. We will be doing a pizza and salad lunch and watching a family friendly movie. Hope to see you all there! Youth Group- Middle School Youth Group 11:30-1pm. 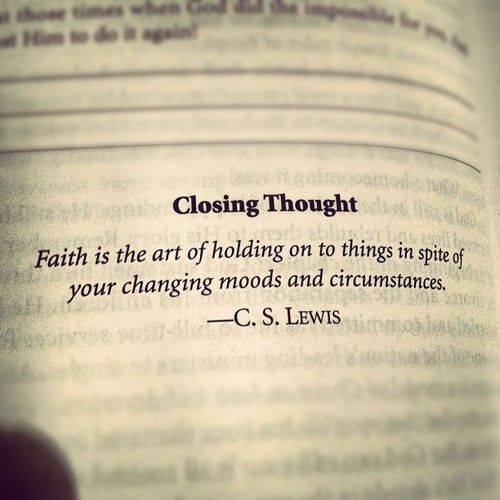 Senior High Youth Group 7-8:30. We are going to be diving back into the Letters to the church Series. Camp ROAR- Camp Roar already has 18 campers signed up!!! Our goal is 40 campers so keep sharing the registration info with all your friends. The Volunteer registration is holding steady at 11. Thank you all for signing up so early. This year we have started a nursery and preschool group lead by Lindsey and Jake Salomonsson. They are super excited to be leading the charge with this new group of kids. Taking care of these younger ones will also mean that more moms can volunteer as leaders and helpers! Camp ROAR is doing wonderful things already! Easter is coming and we are looking for candy and toy donations to fill the eggs for the HUNT! Easter is coming and we are looking for toys and candy donations for the HUNT! Youth Group- Middle School Youth Group 11:30-1 pm. Senior High Youth Group 7-8:30. We are going to be diving back into the Letters to the church Series. Camp ROAR- Camp Roar already has 16 campers signed up!!! Our goal is 40 campers so keep sharing the registration info with all your friends. The Volunteer registration is holding steady at 11. Thank you all for signing up so early. This year we have started a nursery and preschool group lead by Lindsey and Jake Salomonsson. They are super excited to be leading the charge with this new group of kids. Taking care of these younger ones will also mean that more moms can volunteer as leaders and helpers! Camp ROAR is doing wonderful things already! The traditional Vacation Bible School is tossed aside when Camp ROAR comes to town. Let’s head out on an African Adventure that engages the whole herd! Create a Stampede of fun at Sing and Play Roar. Bring the Bible to life in Wild Bible Adventures. Experience jaw dropping discoveries at Imagination Station. Run wild with high energy activities at Stampede Sports. Discover what life is like for five amazing kids who live in Africa in KidVid Cinema. Get ready! Let the good times ROAR!!! And when life is Wild… God is GOOD!! Register your kids today or sign up to volunteer as a leader or helper. We can't wait to see you at Camp ROAR!